This exercise includes three tenses:past simple,past continuous and past perfect(simple). 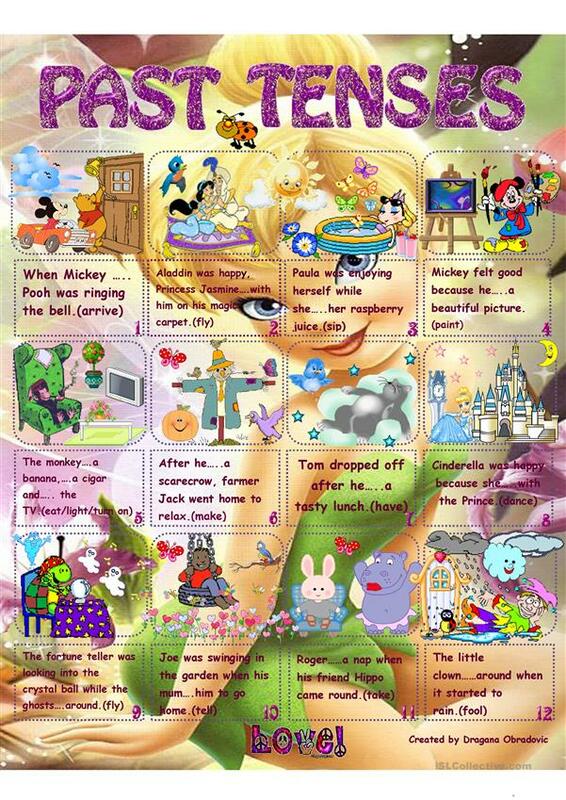 Students are expected to use the proper tense of the verbs in brackets and fill in the gaps.They could also work in pairs asking questions about the characters in the pictures or they could describe and compare the pictures. This downloadable handout is recommended for elementary school students and students with special educational needs, learning difficulties, e.g. dyslexia at Elementary (A1) and Pre-intermediate (A2) level. It is great for teaching Past perfect simple vs continuous tense in English, and is a valuable material for honing your learners' Spelling, Speaking and Writing skills. It centers around the topic and words of Actions.